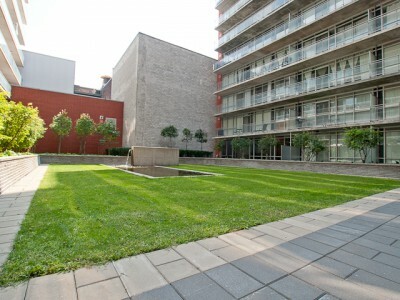 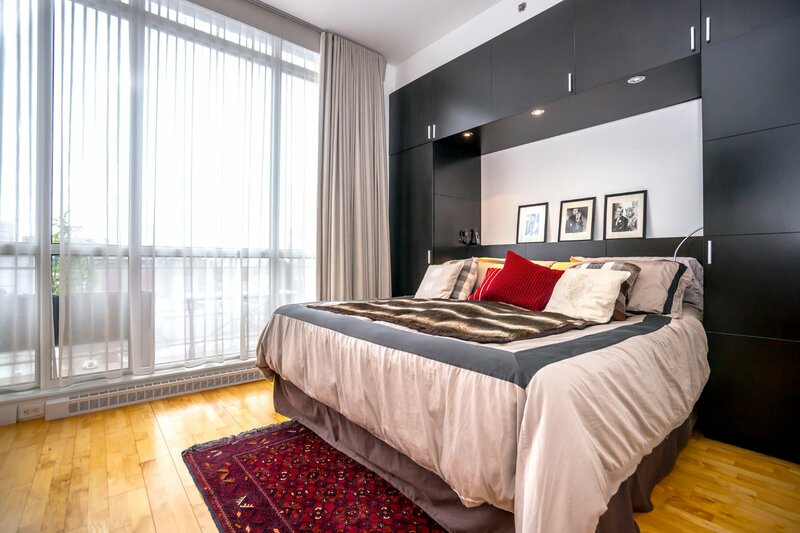 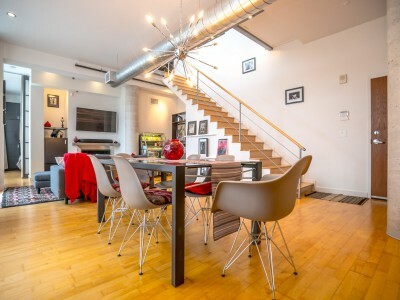 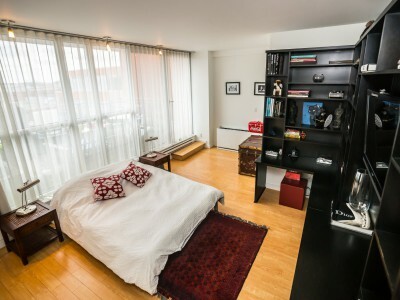 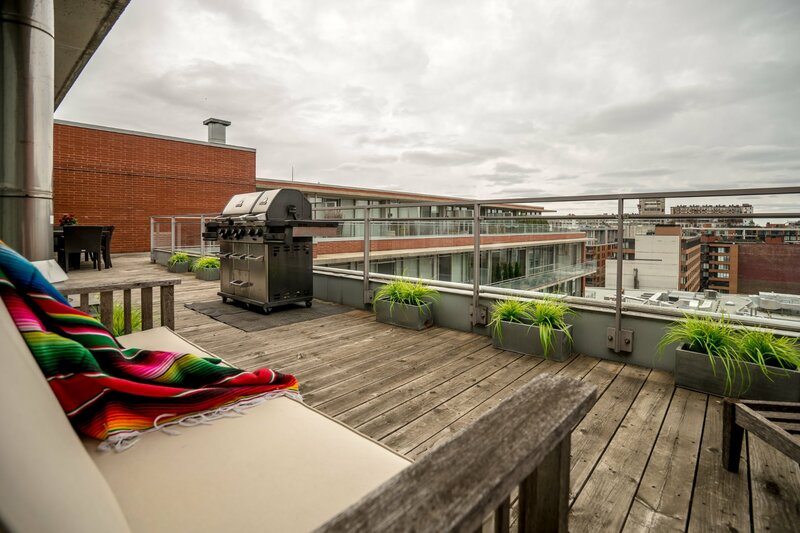 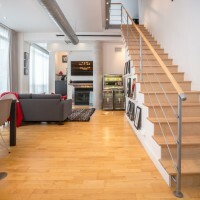 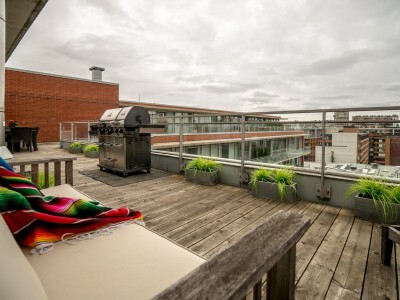 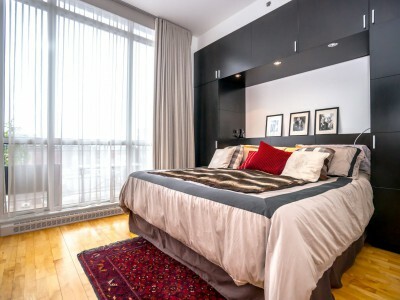 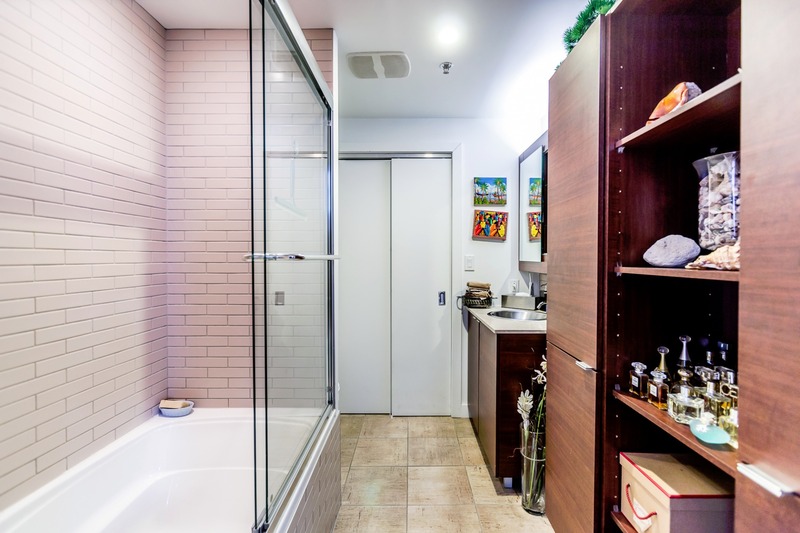 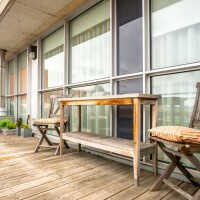 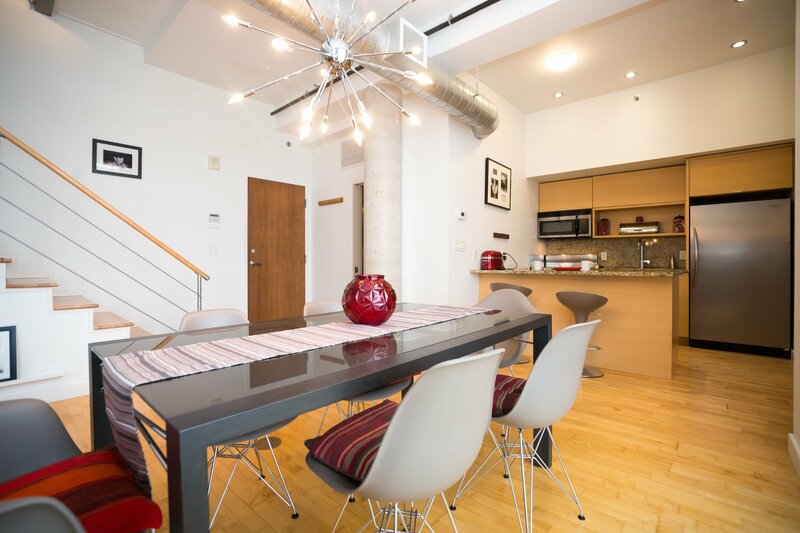 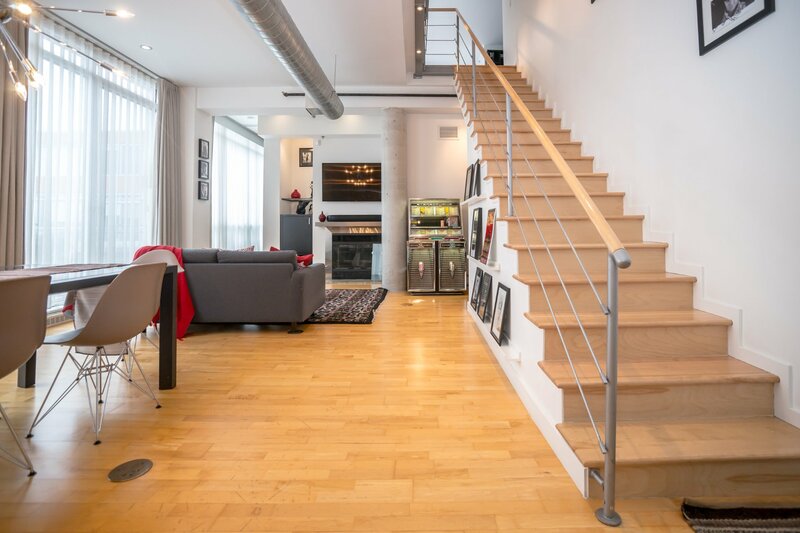 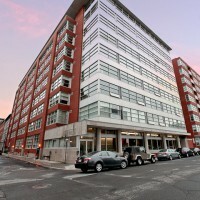 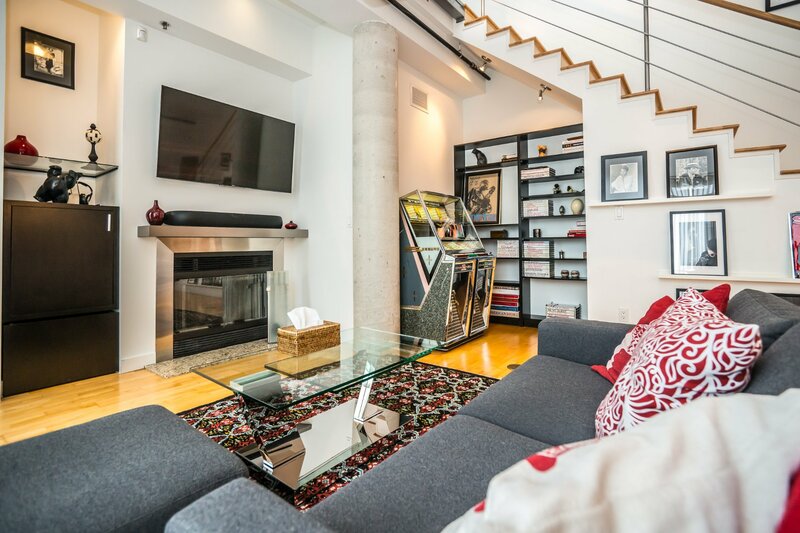 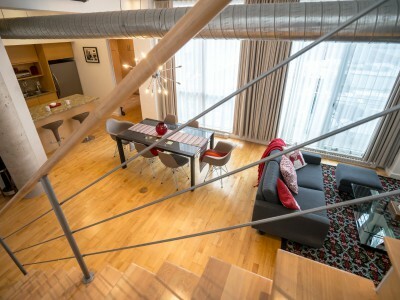 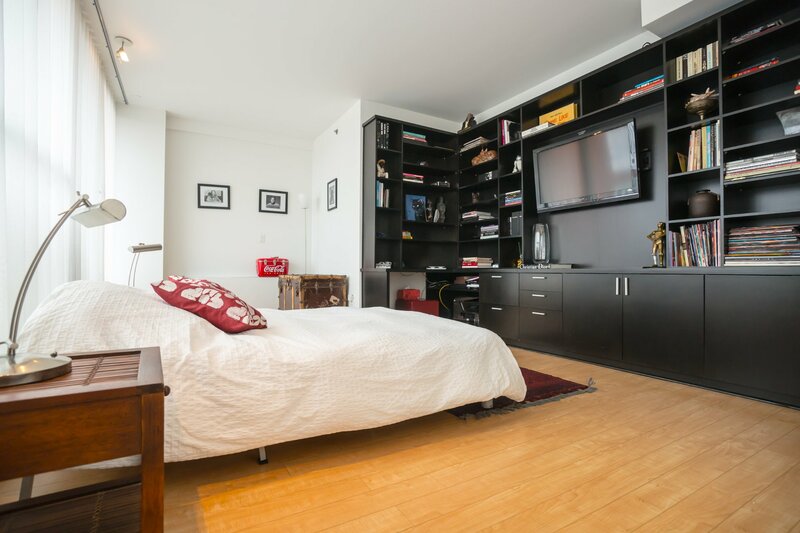 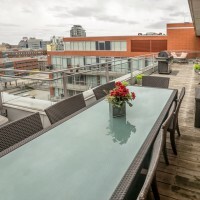 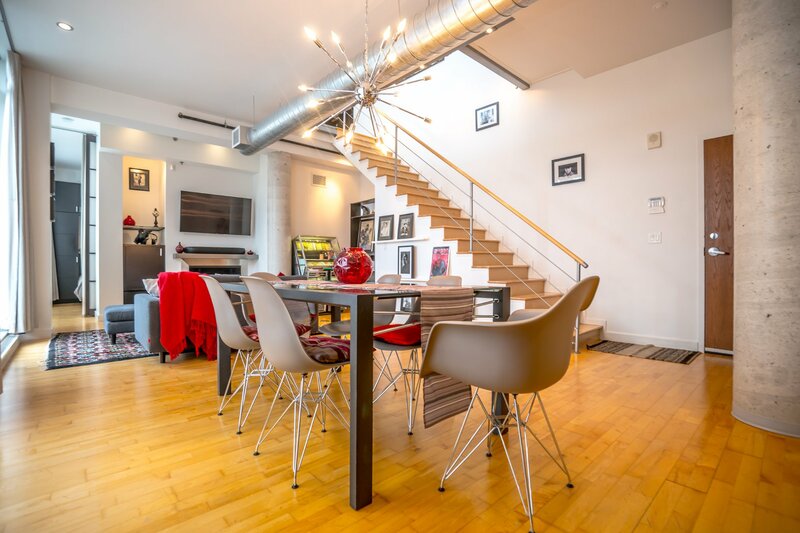 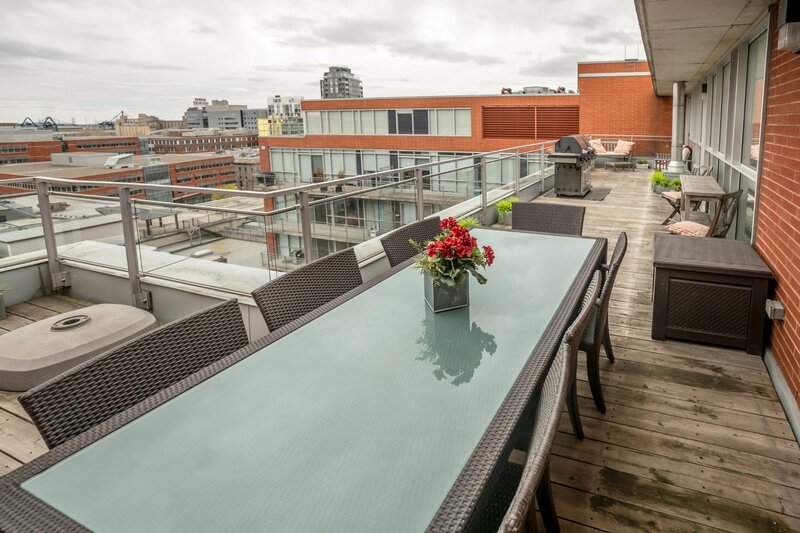 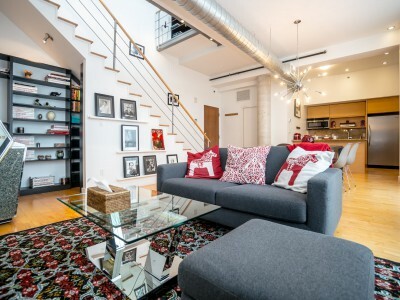 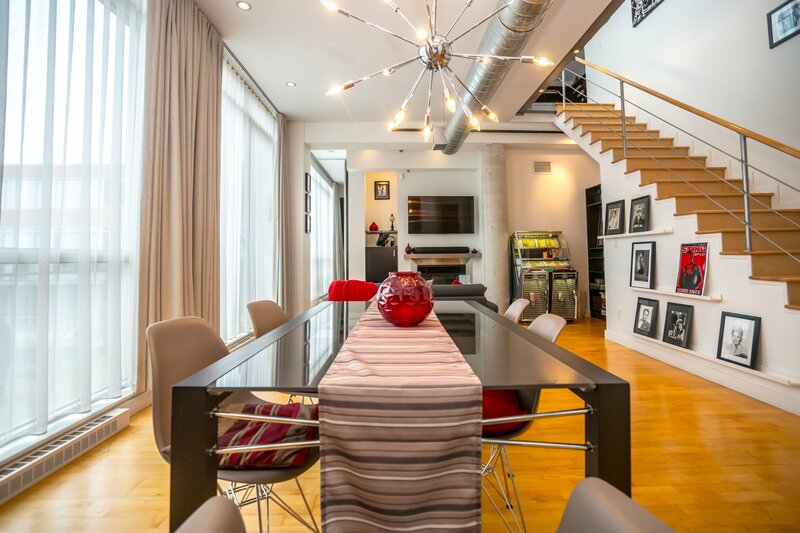 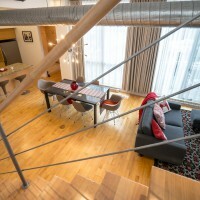 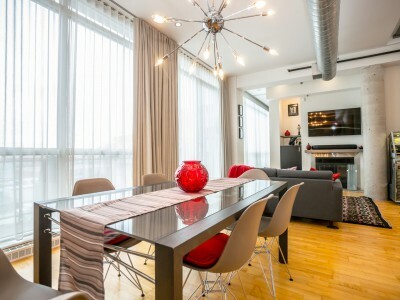 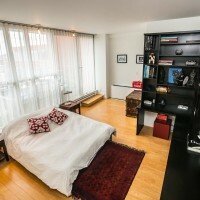 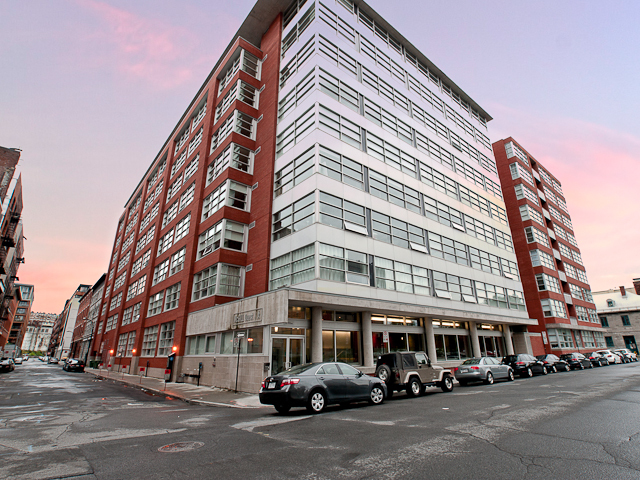 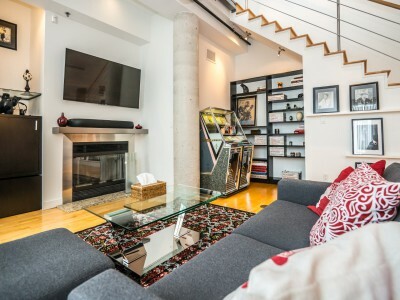 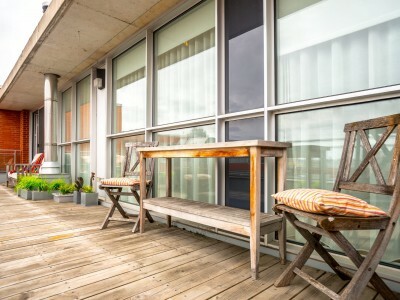 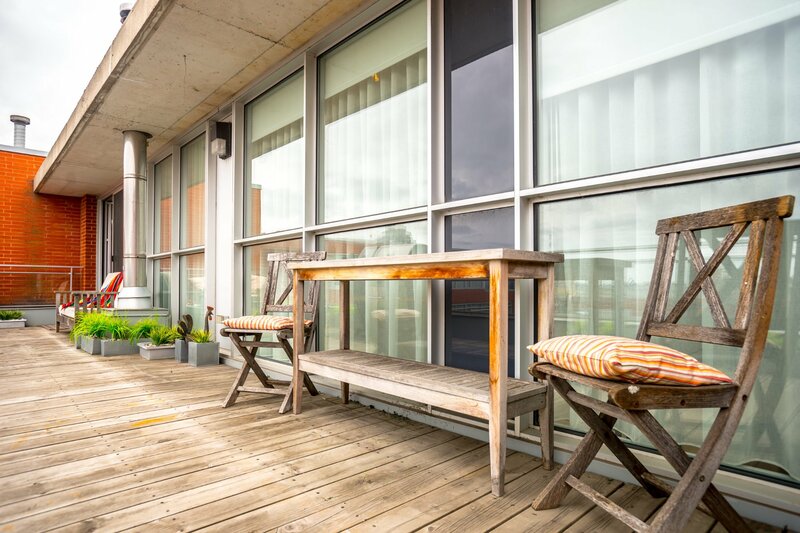 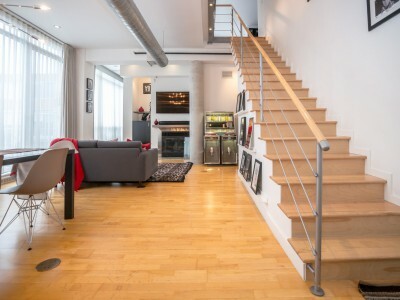 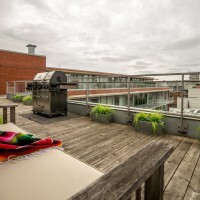 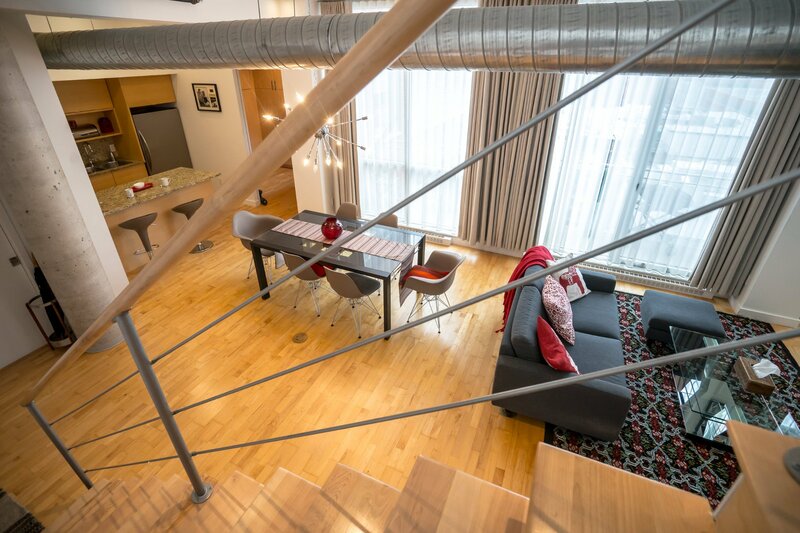 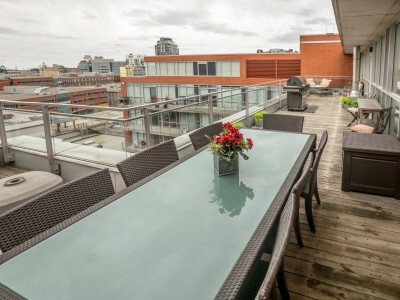 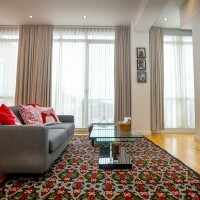 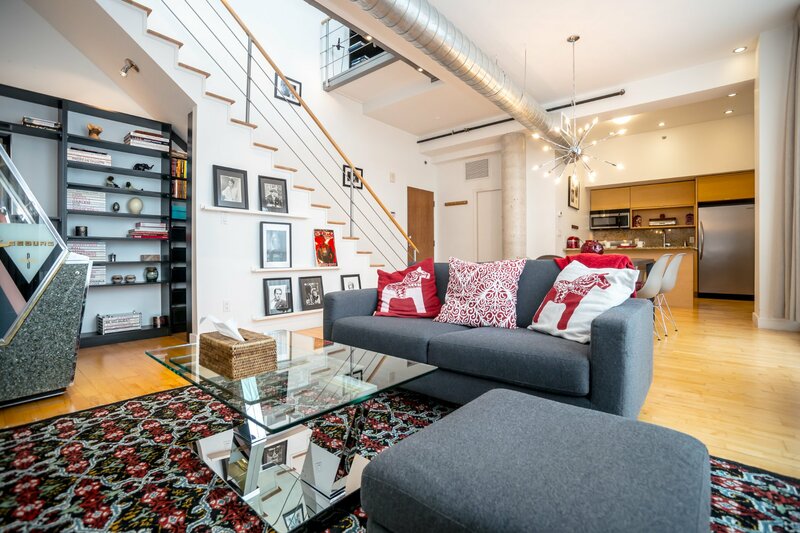 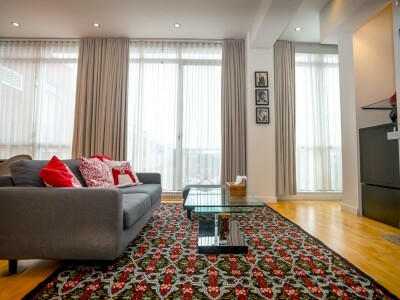 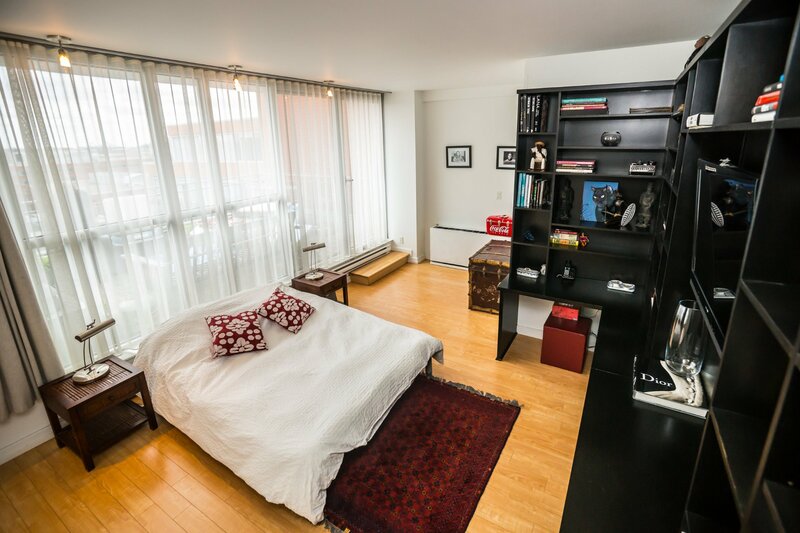 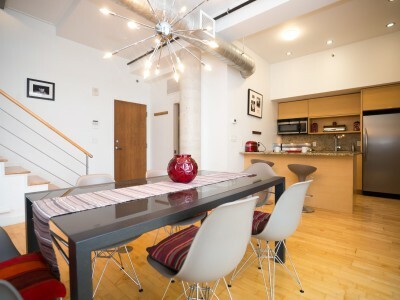 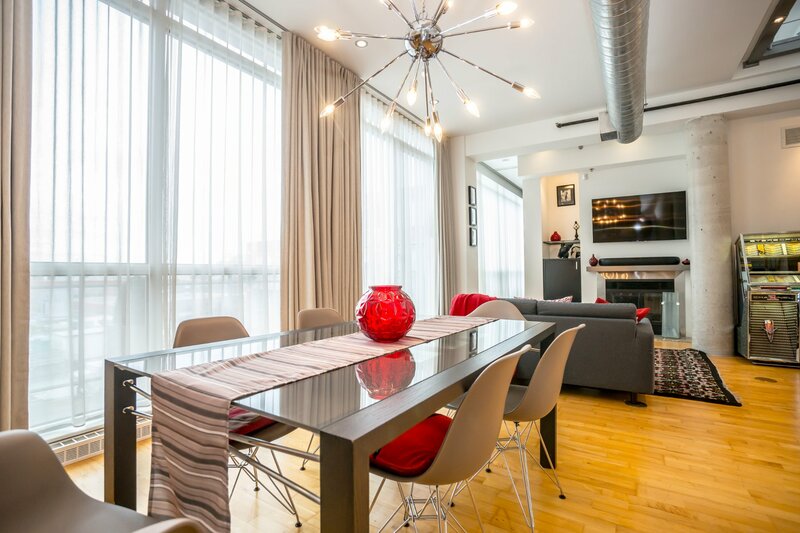 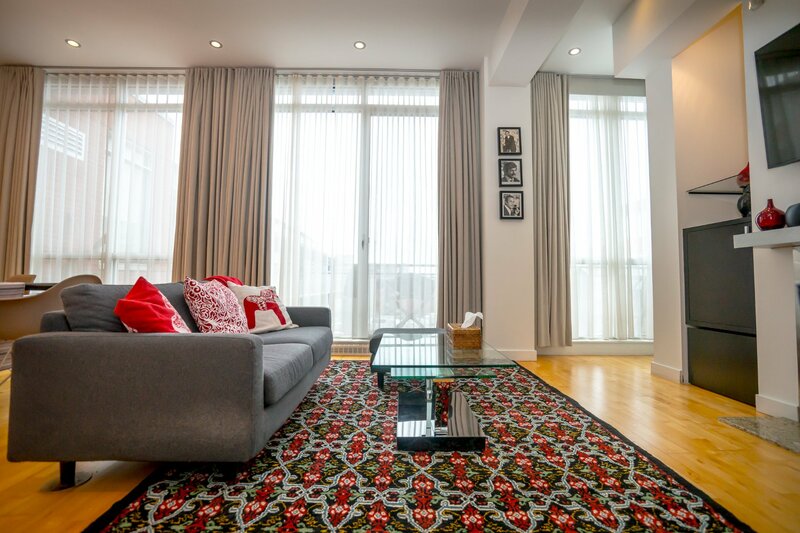 Two Storey penthouse situated in the famous McGill Ouest Building. 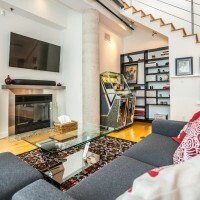 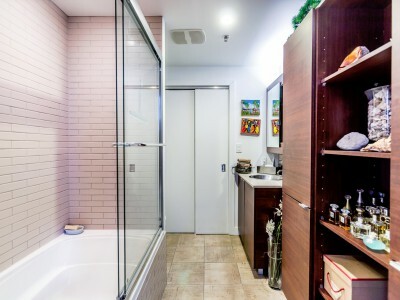 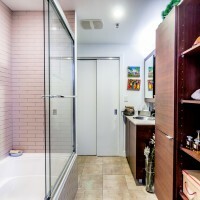 2 bedrooms (2ND on the mezzanine), 2 full bathrooms, open concept living, dining room and kitchen. 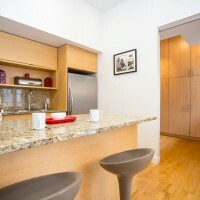 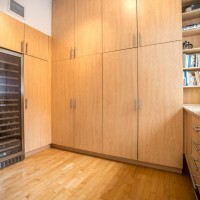 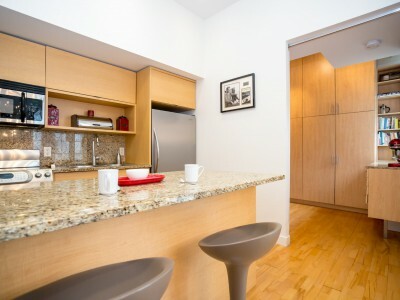 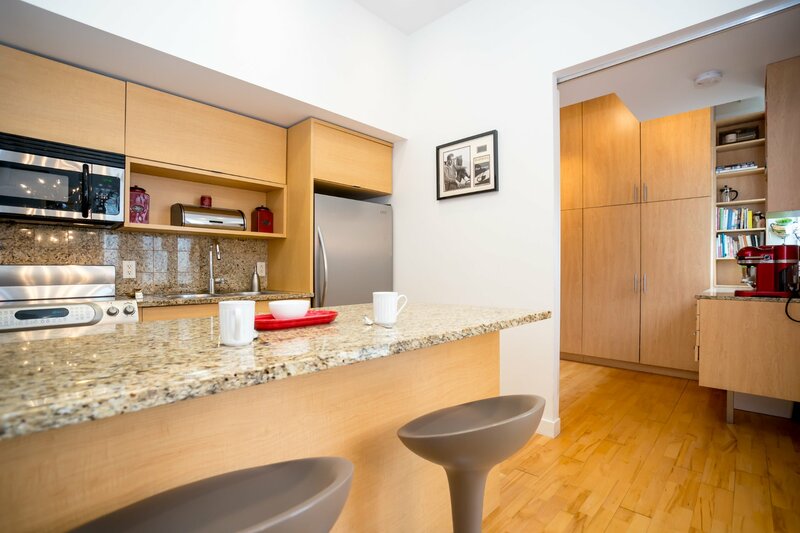 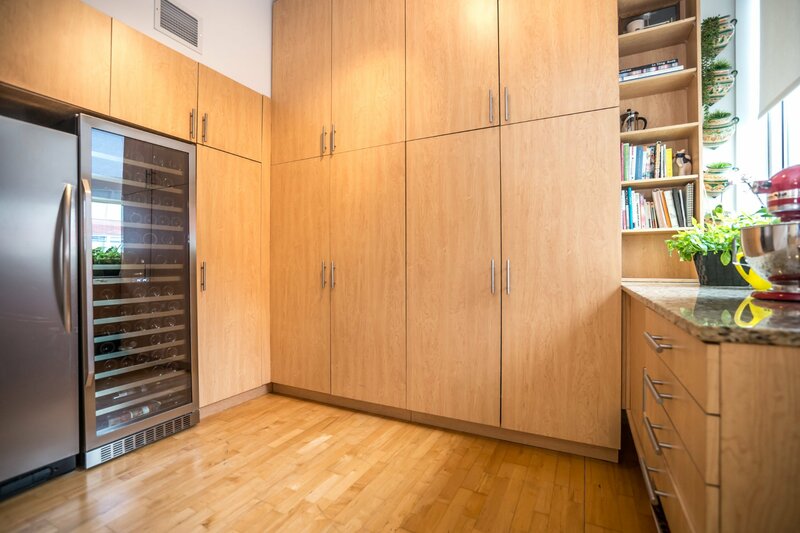 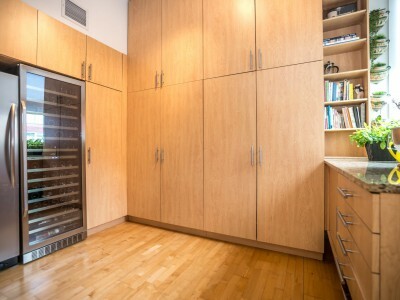 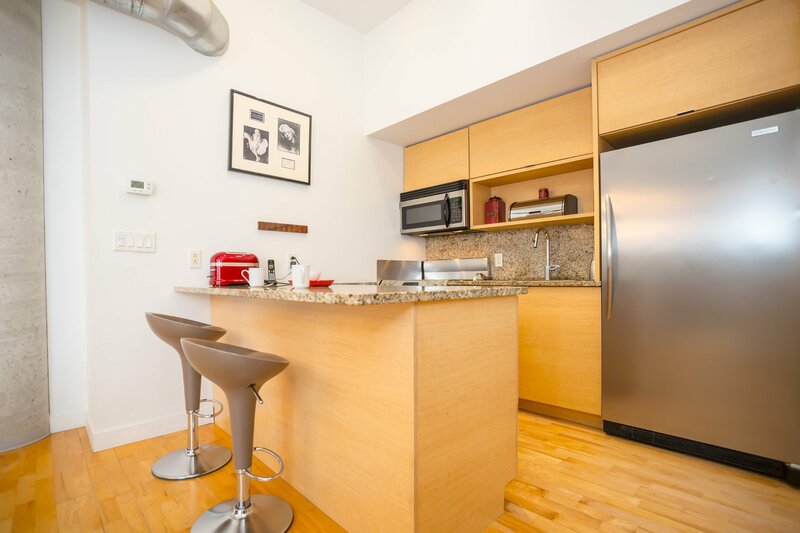 Wood fireplace, hardwood floors, all modern amenities and 2 large 2 terraces. 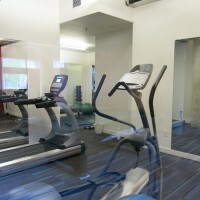 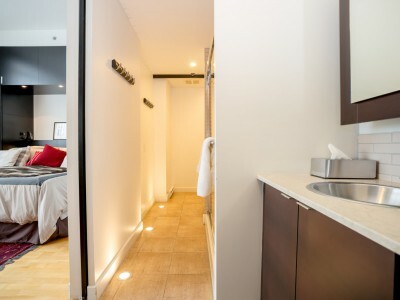 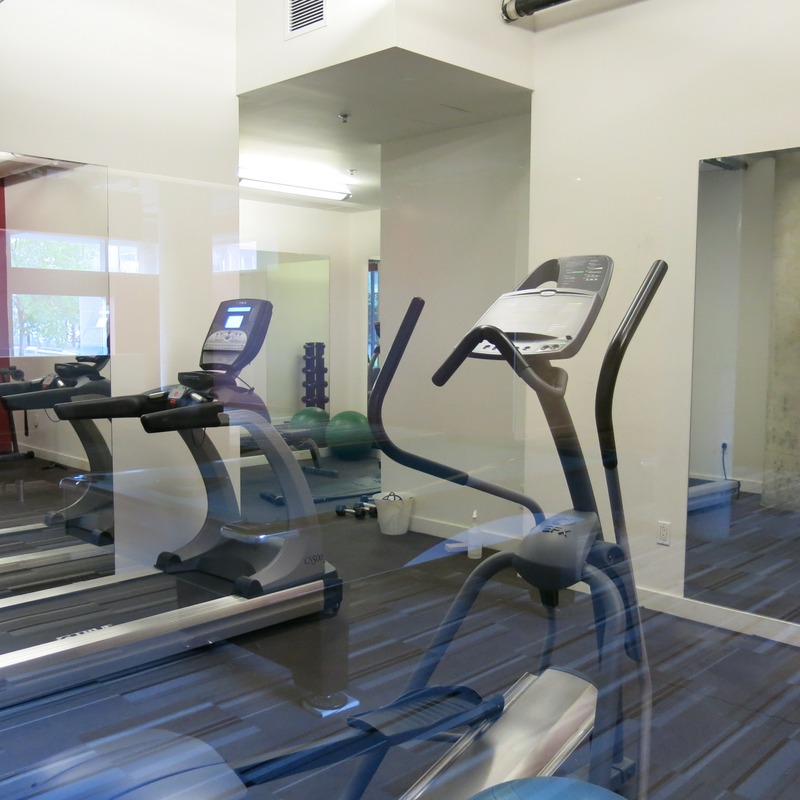 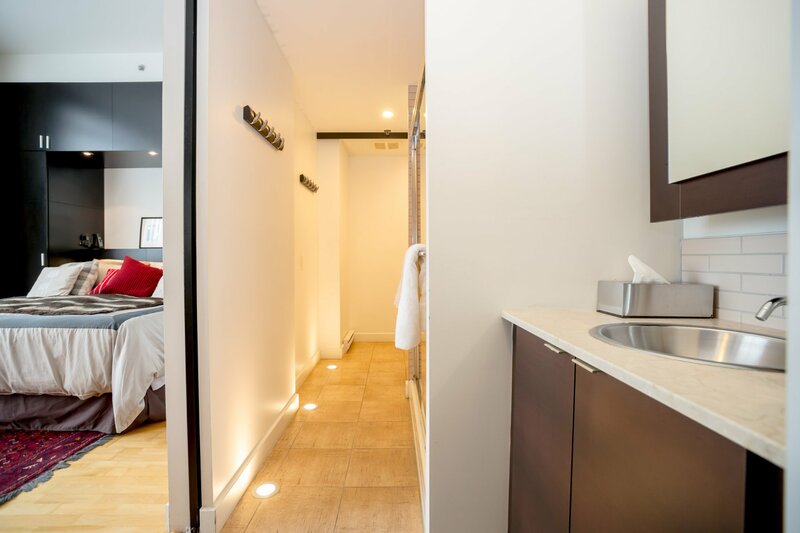 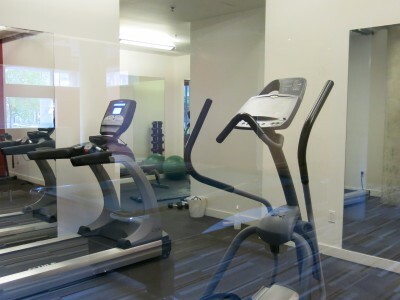 Building equipped with gym, interior courtyard and pool room. 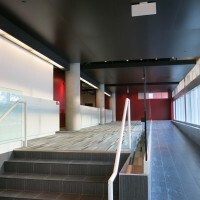 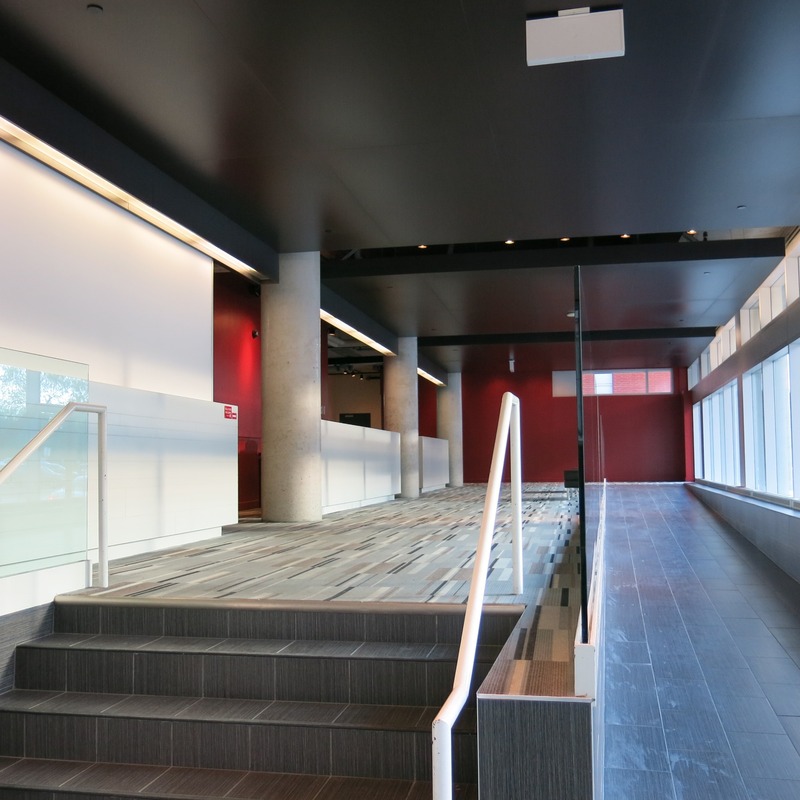 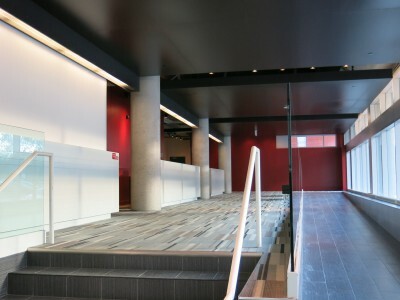 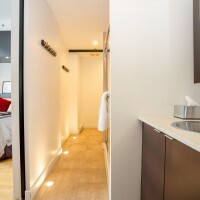 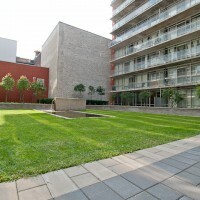 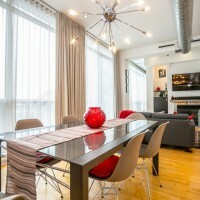 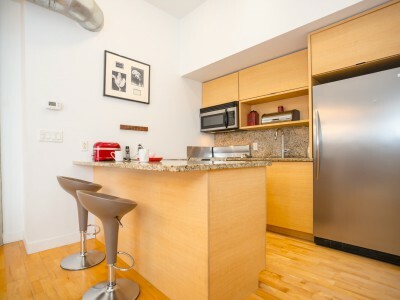 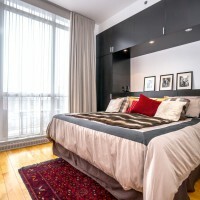 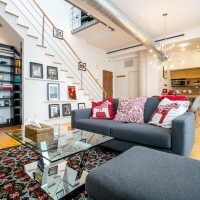 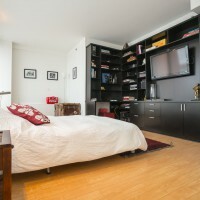 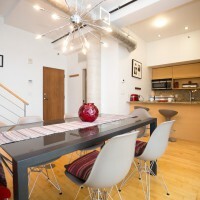 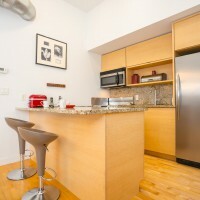 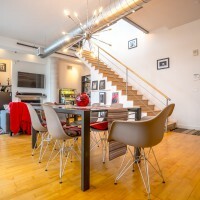 Centrally located near Old Montreal!